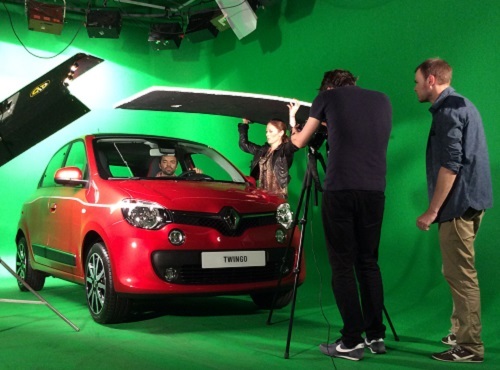 Last week we were at a most intriguing photo shoot with New Twingo. 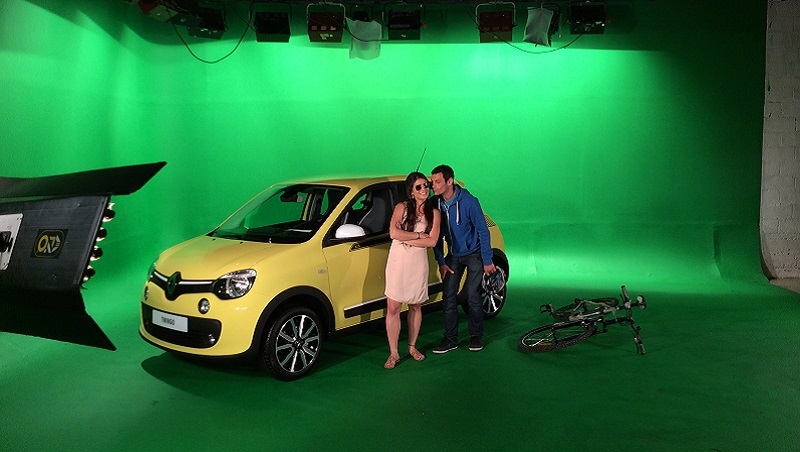 Renault’s latest is starring in the photonovels being put together for “Write the Change”, a contest run in partnership with WeLoveWords. We were fascinated to see how the winning stories were being illustrated in the studio. There are a surprising number of people involved in the “Write the Change” adventure. 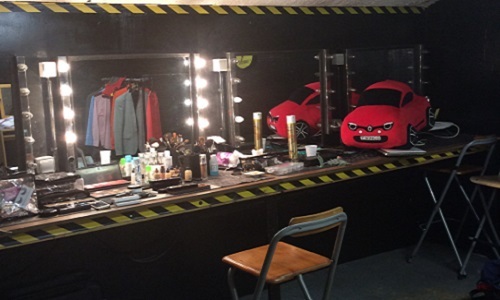 At the two-day photo shoot we ran into technicians, actors, photographer, motion designer and make-up artists. Each has an important role to play in the task of turning the winning contestants’ stories into finished photonovels. The “Write the Change” jury had selected eight scenarios, each comprising eight sequences, with the action set in four different cities: Paris, Milan, London and Amsterdam. To produce the photonovels, the photographer would take shots of the actors in situations coordinated by the artistic director and the motion designer. To get the best results, and minimize subsequent difficulties at the post-production stage, framing, orientation and lighting had to be perfect. 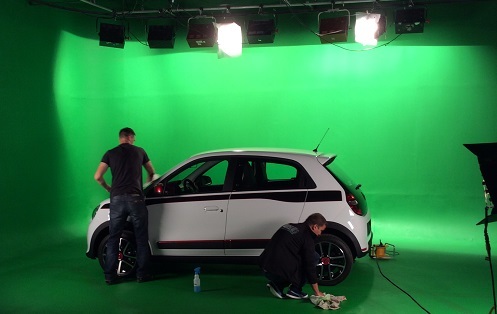 All the shots came under close on-screen scrutiny before getting the go-ahead, as, indeed, did the green backdrop, which had to be repainted between two sessions. 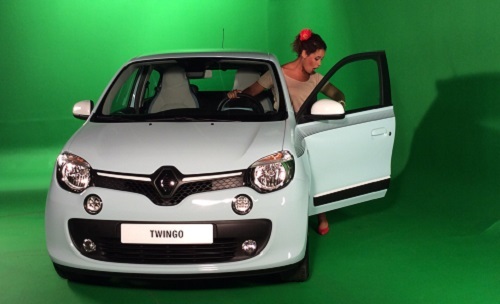 Accessories and costumes had been carefully selected in keeping with New Twingo’s colourful pop personality. In all, there were ten different actors, playing different roles in different stories. 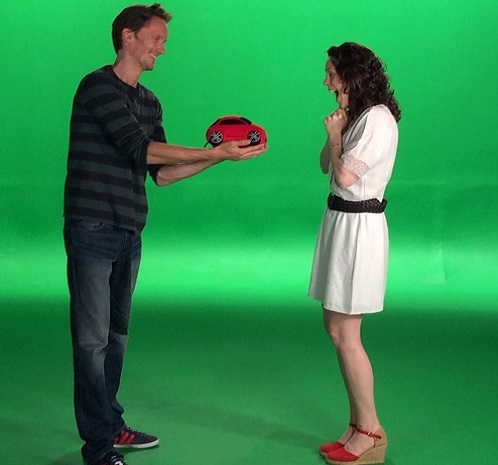 New Twingo dressed up for the occasion ! Just like stars on a film set, the four New Twingos (red, blue, yellow and white) needed a lot of readying up before being allowed under the photographer’s merciless gaze. In addition to the two transporters, there were two vehicle preparation specialists there, to take charge of handling and grooming. Meticulous attention was given to every tiniest detail, from tyre orientation to licence plate fastening. We weren’t the only visitors to the photo shoot; the developers of the Facebook application on which the photonovels will be released were there too. The atmosphere was relaxed and friendly, with production team and actors getting on fine. Indeed, everyone seemed to be enjoying themselves, especially the young couple. 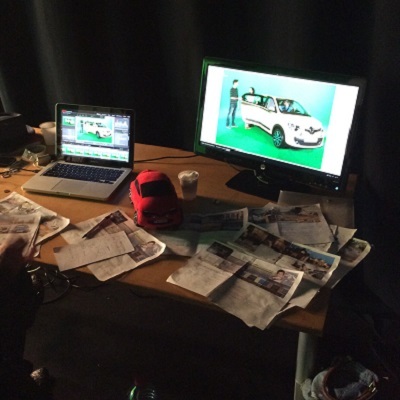 The final result of all this hard work will be out mid-August, when you’ll be able to vote for your favourite photonovels on the Renault Facebook page.